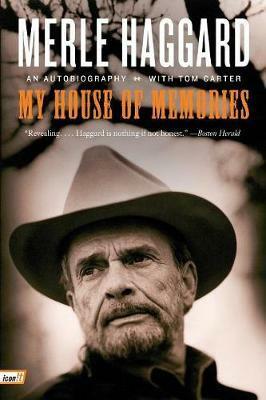 In this riveting personal story, award-winning,bestselling country musicrecording artist Merle Haggard takesyou on a tour through his house ofmemories, offering a fascinating lookinside his turbulent yet successful life.Merle reveals the true stories about hisbirth and troubled upbringing in a convertedrailroad boxcar. He recalls the lossof his father when he was nine, after whichhis childhood disobedience transformedinto full-blown delinquency that eventuallylanded him behind the cold walls ofSan Quentin. He gives tribute to hismother and relives the painful memoryof her death. He shares the lessons helearned from a life shaped by violence,gambling, and drugs, never shying awayfrom the fact that he continues to pay fordecades of reckless living. And he talksabout the music he loves-how, ultimately,it has defined the man he is. Merle Haggard is the author of Sing Me Back Home. He has recorded forty-one number one hits. Tom Carter is a Nashville journalist who has collaborated on autobiographies of major country superstars, including Glen Campbell, Ralph Emery, Reba McEntire, and George Jones.